Our preschool programs have been carefully designed for the active and exciting world of the three to five year old. We combine engaging hands-on activities, hikes in our woods and prairies, creative play and movement, and a close look at our live animals. Please review our Field Trip F.A.Q. for more information about our site and being prepared for your program. How do animals use their sense of sight, smell, touch, taste, and hearing? 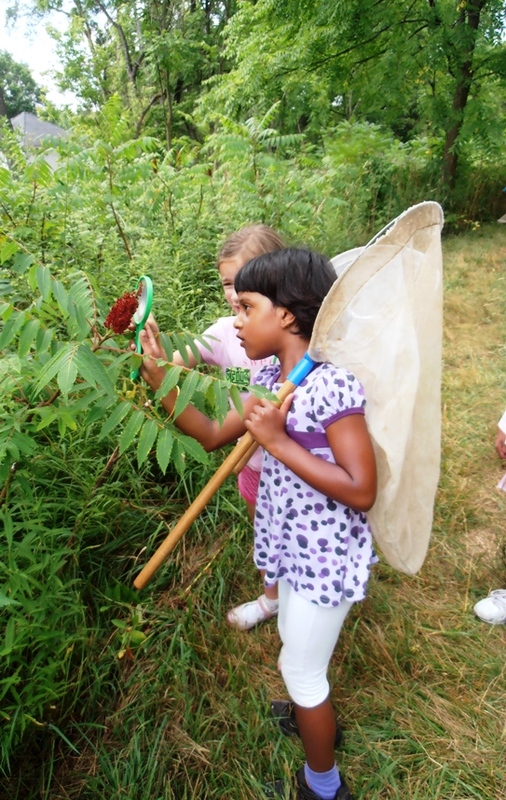 Students will discover how animals and humans use their senses to survive by observing a live animal, exploring stops along our outdoor “Sensing Nature Trail,” and much more! Your preschoolers’ five senses are sure to be engaged! Explore fields and forests to learn how plants and animals prepare for winter with an enchanting autumn puppet show. Through games, a live animal encounter and discovery hike, your students will truly experience the joys of fall. Celebrate the birth of spring! A fun-filled puppet show will captivate and educate your youngsters about animal life in springtime. Visit a live animal and enjoy an outdoor walk while discovering the eagerly anticipated signs of spring.